The one thing that makes Android distinct as an operating system for mobile smartphones and tablets is its being an Open Source platform that encourages developers to engage in various types of development activities. And the one feature without which the custom development would not have been so easier is the availability of the “Developer Options” that is found under Settings of all Android devices by default. These developer options contain advanced features that help any person with a developer’s bent of mind build, test, debug, and package Android apps and mods. In simple terms, developer options allow quick access to and Android device from a computer via ADB (Android Debug Bridge) commands. 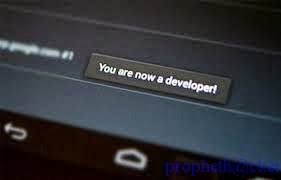 The “Developer Options” feature is indispensable to Android Developers hackers and enthusiasts as a means to quickly access and control their device from the PC. Even if you are an average user and wish to root, install a ROM or mod on your Android device, you must turn on USB Debugging mode on your phone or tablet. And you’ll not be able to do it unless you enable Developer Options on your device first. Many other options to simulate app stresses or enable debugging options. If you have recently upgraded your device to Android 4.2 Jelly Bean or have bought a new device with 4.2 or higher pre-installed, do not be surprised if you find the ”Developer Options” missing. 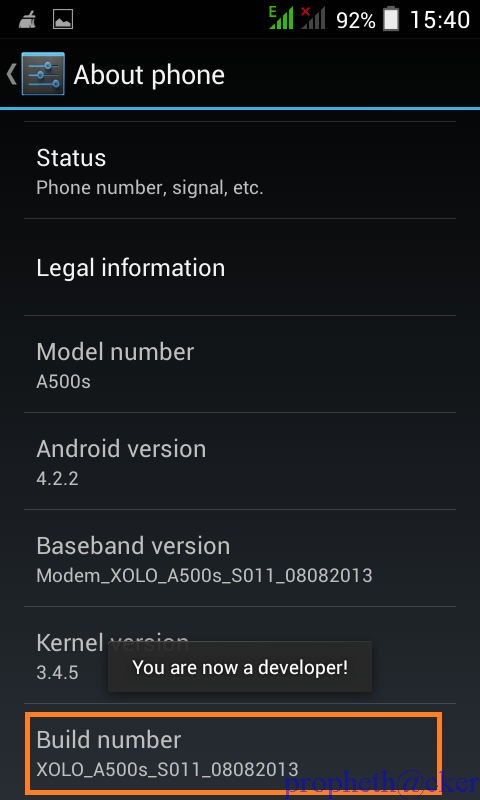 I came across this thing on my Galaxy S3 with leaked 4.2.1 firmware and then on Galaxy S4 GT-I9500 on Android 4.2.2. In fact, the developer options lie at the core of Android development and so they cannot be removed as long as Android is an open source environment. The only change Android 4.2 brings in connection to these useful options is that now they are hidden by default and you will have to make it available by doing some finger exercise. Open Settings> About on your Android phone or tablet. If you have a Samsung Galaxy S3, S4, Note 8.0, Tab 3 or any other Galaxy device with Android 4.2 or Android 4.3, open Settings> More/General tab> About and tap it. If you have Galaxy Note 2 or Note 3 or any Galaxy device with Android 4.3, go to Settings> General> About and tap the Build version 7 times. Now scroll to Build number and tap it 7 times. After tapping the Build Number 7 times, you will see a message “You are now a developer!” If you have a Galaxy S4 or any other Samsung Galaxy device with Android 4.2, the message reads as follows- “Developer mode has been enabled”. Return to the main Settings menu and now you’ll be able to see Developer Options. 8. 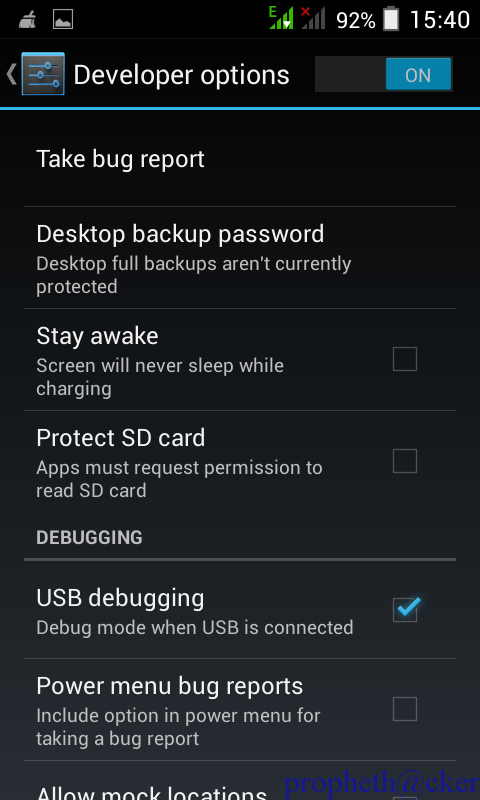 Tap on Developer options and mark the box in front of USB Debugging to enable it. 10. To enable Developer Options, go to Settings> Developer options and tap on the ON/OFF slider on the top of the page.